How was it for you? Christmas I mean. Have you come out the other side intact? I really hope so. We have work to do this year. But first, a recap of various healthy and/or drunken activities that I was able to be involved in over the festivities. Every year that we have been here for Christmas we’ve gone into Palma on Christmas Eve and had a wander around, looking at the lights, passing by the Cathedral (we always seem to coincide with the end of the German language service so my husband often bumps into real estate agents he knows!) and some kind of chocolate and churros stop off. This year we also stopped off outside of Nice Price and put some money in the tins of the Rotary Club who were outside collecting. Another traditional (and let’s face it, unhinged) event for us is the mad dash into the sea at El Toro beach at midday. It’s been organised by Emma Conlin and Leon Blakely from Universal Nautic for as long as I’ve known about it. Everyone, including the pooches, were dressed up in Christmas outfits or fancy dress. One pug in particular caught my eye. There was much merriment, and brandy, and cava. We’d taken our little dog Basil along with us for an outing but completely forgot that the midday signal to run into the water was a firework. As I was knee deep in the sea ready to take the photo and my family were lined up to run like loons into the chilly waters no one was keeping an eye on our nervous dog. The firework went off and so did he careening across the beach and into the unknown roads of Port Adriano. Forty five minutes and many tears later we found him, or he found us, either way we were reunited. Thankfully! 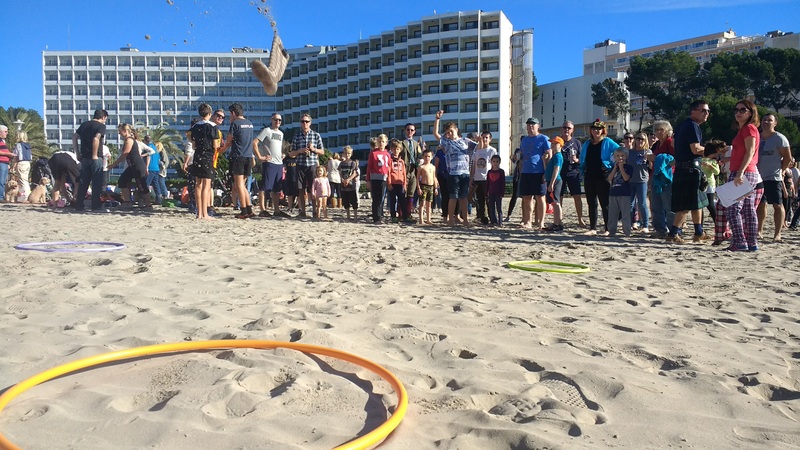 A break from tradition for us on Boxing Day meant a trip to Peguera beach to join approximately 130 other people to take part in hilarious The Highland Games organised by local Scot and all round jolly lassie, Amanda Hibbert and her lovely family. We competed in teams in the various events including Wellie Flinging, a piggy back race, a tug of war and tossing the caber. I’m not going to lie, I’m very proud to tell you I was the overall winner of the women’s division in the caber toss. Finally, I have discovered my athletic gifts. We were joined on the beach by a German gentleman called Phillip who was dressed in Lederhosen, he participated enthusiastically, and said that he learnt a lot about Scottish culture in the process. I believe that most Christmas activities if they are not eating or drinking should involve being outside and that at least one dog should be in attendance. Hence I like to go to or organise plenty of walks and messing about, it’s a good way to burn off some mince pies, and also get out of the house and enjoy our beautiful island whilst everyone else is away visiting their families. We were joined by a good turnout of about thirty people for our “round the block” walk around the edges of our village. 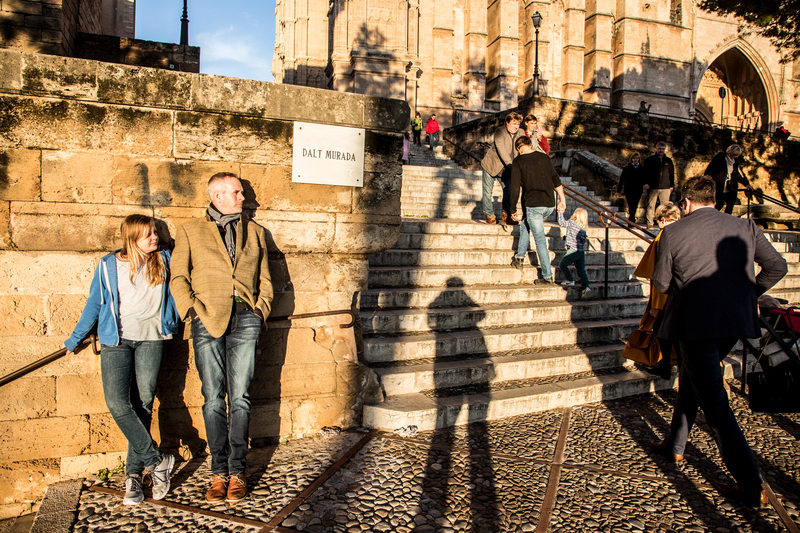 Some of the walkers hadn’t ever been to s’Arraco before and have subsequently been back a couple of times since to walk as they enjoyed it so much. Perhaps we should found the s’Arraco tourist board. A place which I have often read and heard about but up until now had not had the chance to go to see are the cascadas between Orient and Bunyola. It did take some determination to make it happen, but I was not disappointed by the beautiful walk we were treated to. Again we took little Basil who behaved himself impeccably on and off the lead, and we were joined by more friends who were inspired to come along and explore. The actual walk is as difficult as you want to make it. You wander along a path from the road down to a stile and then another one which asks you to put your dog on a lead. Then you come to the river and stepping stones (which is where you might want to kick yourself for not wearing more waterproofed footwear, so take my advice and make sure you do) there you have to hop over a few stones and perhaps get a little damp in the process. Then another short walk through a forest which could have been taken straight out of a Tolkein novel and you are there alongside the waterfalls. 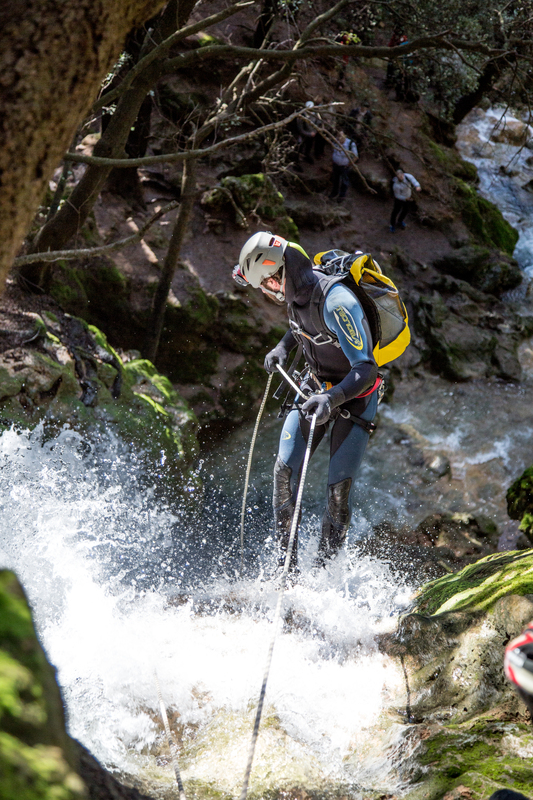 When we were there we watched some canyoners abseiling down the rock face through the water gushing over the side, it looked exciting, but a bit too cold for me. My companions thought it looked like something they would like to have a go at, and the guides from “Tramuntana Tours” seemed very competent so perhaps they will go back and try. We kept walking for a while and then decided to turn back and return to the cars but we could have kept going for quite a while apparently. A fifteen minute drive to Alaro later and we were sat in the main square with glasses of wine and slices of pa’amb’oli. Very civilised. We’re intending to go to more places this year which we have not been to in Majorca, it’s not exactly a 2017 resolution as much as the same one we’ve been making for years now and not managing to realise. Next up is the Barranc in Biniarix, and then Galatzo in Calvia. I’m determined to finally visit these places in Majorca this year and get to the really special spots which I haven’t been to yet. January is normally a month that moves at a slower pace for me because of the weather, but still it’s a great time of year to be on the island. We’re looking forward to the St Antoni and St Sebastian fiestas and to slowly moving back to speed after a much needed Christmas break. But there’s always plenty coming up in Majorca to keep us busy. Just as I write my husband is starting to receive his annual phone calls from professional cycling teams arriving on the island who want him to photograph them training and racing. I have started a new project which I will be writing about on Sundays in the Majorca Daily Bulletin, and also on my website http://www.mallorcamatters.com. Happy new year everyone, my best wishes to you all, I hope you have a healthy and peaceful 2017. You may think that Christmas, and New Year AND Three Kings are over, and that therefore everything is back to normal in Mallorca, but you would be wrong as we still have two more fiestas to go this month, and we love them! First up we have St Antoni this coming weekend. You will be able to join in at outdoor barbecues all over the island on Saturday evening. Some of the best ones are in my neck of the woods which is Andratx and S’Arraco, but you will also have places like Sa Pobla, Felanitx, Muro, Santanyi, Sencelles, Son Servera, Pollensa and Binissalem to check out as well. They are spread out over the weekend with some happening on Friday evening as well. The fiesta is split into two halves: you have the barbecue where everyone steals everyone elses’ sausages and gets drunk, followed by the Corre Foc, the fire run where recently inebriated people are invited to participate with people dressed up in really scary devil costumes and play with fireworks. What could possible go wrong? Up in Sa Pobla on Saturday at about 5.30pm they will also have human towers which I have always wanted to see so I might make a dash to get up there, then at midnight in Sa Pobla will be their amazing fire spectacular with demons, dragons and drummers in Placa Major. If that doesn’t get you going then there’s always something going on at the Auditorium and I understand that this weekend there is a performance of Beethoven’s Pastoral with the Victor Ullate Ballet on Saturday evening. More information can be found on the Auditorium Palma website. Then on Sunday 15 January you have to make your way to the church with your pet cat, dog, sheep, goat, hamster, whatever you have you should take along to be blessed. There are blessings in Biniali, Cala D’Or, Santanyi, Soller, and Andratx. On the Monday the St Antoni fiestas continue in Alaro with a parade, bonfires and a correfoc in the evening. You can also go along to Deya, Maria de la Salut, Muro, Sa Coma, Santa Maria del Cami, Soller, Son Carrio and more action in Sa Pobla. Then all attention is focused on Palma for the big San Sebastian parties. The Fiesta Sant Sebastia is one of the biggest festivals in Mallorca and celebrates the Patron Saint of the capital. The big nights are around the 18th, 19th and 20th (the day of Saint Sebastian), with the main parties and concerts being held on the 19th. 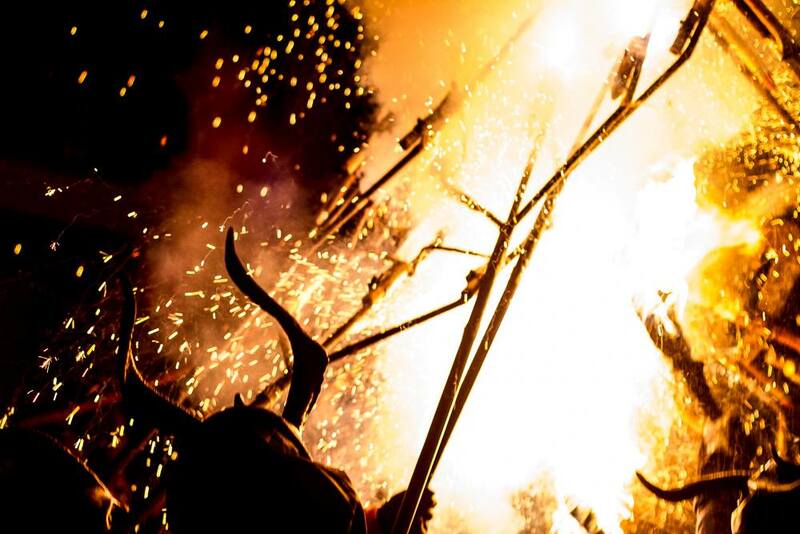 Other entertainments such as the Castellers de Mallorca and the fire runs (Correfoc – wear long sleeves!) are on the 20th January. There will be exhibitions, music and parades for the duration of the festival and you’ll find all the details in the Official Programme (available about a week before the event). This Thursday at Santosha Restaurant in Palma in their Sala Cinco they will have movie nights on Thursdays. This week it’s “Once” 12.1, and next week it’s “Forest Gump” 19.1 ( you should reserve though). And on Saturday nights they have live music during dinner. You’ve also got the Palma Dogs fundraiser coming up. They’ve called it the “Beat the Meh, find your Woof!” Pub Quiz Fundraiser. It will be on Tuesday, January 17th at 7.30 at Atlanticos in the Old Town in Palma. You can have a team of up to 4, €2 each to enter. And there will also be a raffle at €2 per ticket. All proceeds going towards the various associations and individuals who work tirelessly to get owner less dogs out of pounds and into foster or forever homes. 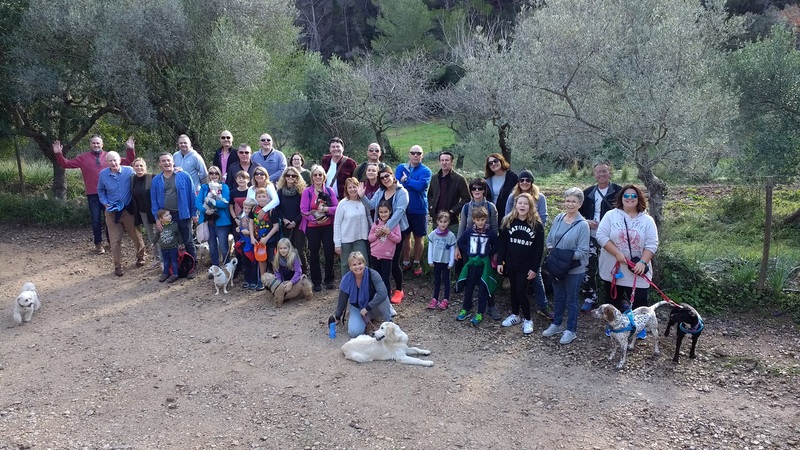 That’s organised by Caroline Stapley who regularly takes people up to the dog homes in Mallorca and takes the dogs out on walks. On Saturday 21st Jan Tony from Bar Rosita’s, Calvia Village will be having his annual birthday bash, free live music Tony Paris, free buffet and lots of fun. Of course, if you’re after a new year’s resolution and you want to get yourself fitter, healthier and take charge of your lifestyle then I can recommend you do the Whole Life Challenge. This is an eight week programme which starts on Saturday January 21st at CrossFit Mallorca. It incorporates diet, exercise and lifestyle enhancements such as beginning to meditate or taking time to spend with friends rather than your phone, small things which add up to a much greater deal. You can get more info by contacting on Facebook, just look for their page CrossFit Mallorca. There will also be two detox workshops in January run by Ziva To Go, a vegan business which now has three locations on the island. Ziva’s founder, Petra Wigermo will lead the detox workshops. You can choose from one in Santa Ponsa on Thursday 26th and one in Santa Catalina on Saturday 28th. In both workshops you will be helped to plan your own detox and make decisions about how you want to approach it, learn about why it is good for you to do these things and also try out some different juice recipes which may be helpful for you. You can get more info and book up for that at any of the Ziva locations on the island, or find them on Facebook. And if you want to get stuck in to some good works this year then you could either join up to The Wednesday Group which meets every, you’ve guessed it, Wednesday, in Bendinat. They are dedicated to making craft and knitted items which can be donated or sold on behalf of charities on the island and it’s also a fun and sociable way to learn new skills and make new friends. You can get more details from Kay at The Universal Bookshop in Portals Nous. OR you can go along to a meeting at The Boathouse in Palma on February 10th which is being organised by the Cancer Support Group as they are looking for people who can volunteer and help them with their ongoing work. You can get more information about that event on my website http://www.mallorcamatters.com along with all the rest of this info and more. 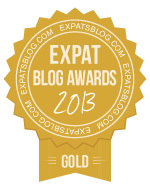 Mallorca Matters is a Gold Medal Award Winning Blog!